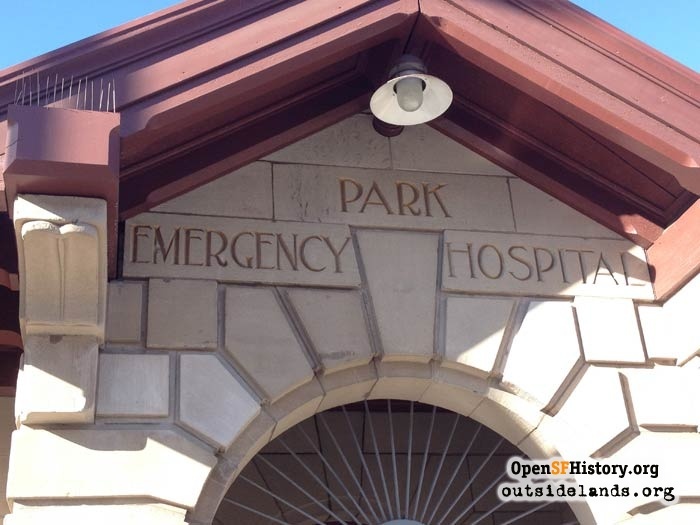 The Park Emergency Aid Hospital: when San Francisco provided free emergency care in Golden Gate Park. Affordable health care is such a news staple one would assume a story on free emergency services—including ambulances and first aid stations—would be a natural for reporters. Or not. For decades San Francisco had just such a pioneering system yet today it is virtually lost to history, despite the fact it was once admired from coast to coast. 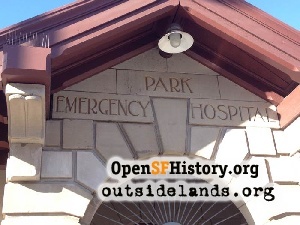 About all that’s left of the once vaunted system is the building that housed the Park Emergency Aid Hospital in Golden Gate Park near Kezar Stadium. The structure, San Francisco City Landmark #201, is now home to the city’s recreation and park department’s volunteer program. Today it looks as though the building’s main claim to fame now goes to its role in a scene from the “Dirty Harry” movie staring Clint Eastwood. If there’s a lesson here, it’s that there is no such thing as a free ride—not even in an ambulance. There’s always money involved and someone has to pay one way or another. Even “free love” has a price. 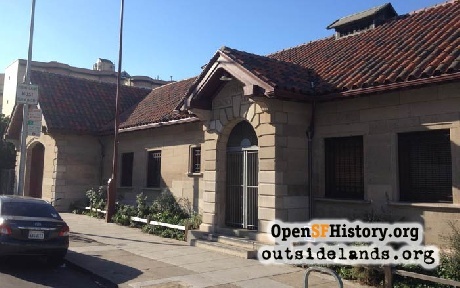 The one-story Park Emergency Aid Station, built in 1902, served in that role until 1978, managing to continue as an ambulance station until 1991. 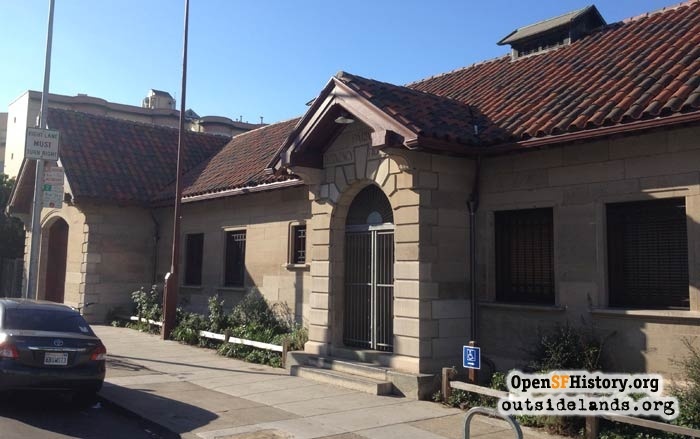 The building is a remnant of a no-charge system that once boasted five emergency aid stations and 14 ambulances, all backed by a major emergency department at San Francisco General Hospital. The city’s system was so unusual it garnered feature articles in several national publications, including Redbook, Collier’s, and the Saturday Evening Post. United Press International did a feature story that went to virtually all newspapers in the nation. A San Francisco Examiner piece in 1964 claimed the no charge system was the “only one of its kind in the U.S.” The paper estimated the cost at $1 million a year. As recently as 2009 San Francisco, which President Taft declared in 1911 was “the city that knows how,” was praised in the book “The Ambulance: a History.” Author Ryan Bell dedicated three pages to “San Francisco’s Influential Idea.” Among other things, he said that in 1913 San Francisco had one of the first automobile ambulances in the nation and “never looked back.” By 1932 the emergency medical vehicles were answering five calls a day. Bell pointed out that “the success of the system did not go unremarked on” in other major cities. The stations were situated so an ambulance could respond to a call within six minutes, the report said. The major stations included Central Emergency at the Department of Public Health Building on Grove Street in Civic Center. The original first aid sign still juts from the structure. In addition to the earlier mentioned Park, the other stations included Harbor, Alemany, and Mission. The Alemany station at 35 Onondaga Avenue, long admired for its architecture, served for 27 years as the St. Mary’s Adult Day Health Care Center, which closed in 2011. Mission Emergency now houses a Neuro Research Center at San Francisco General Hospital. The aid station’s history appears limited to the “Dirty Harry” scene as well as some unflattering ink that flows back to 1967’s “Summer of Love." An Internet search found little information about the first aid system. There was a great deal on the outstanding trauma center at San Francisco General, but put in “free aid stations” and the user is steered to “free clinics,” which is a completely different matter. Much of the information in this article was provided by the staff of the history room at San Francisco’s main library who came up with a box filled with old documents and newspaper clips. The aid stations and the ambulance service handled major emergencies before, but the 1967 Summer of Love invasion was something else. The 1906 earthquake, of course, topped disasters. The service’s history also saw it respond to the VJ Day riot in 1945 in which 11 people died and at least a thousand were injured, drawing praise from the Board of Supervisors who passed a resolution commending the service for taking care of “hundreds of cases in a commendable manner with no publicity and little fanfare.” The system, however, was ill prepared for the thousands of young people from across the nation who descended on San Francisco with flowers in their hair. Health Director Ellis Sox warned that the influx would “skyrocket” health costs. One person who had a first-hand look at the ensuing drug cases that centered just a short distance from Park station was Dr. David Smith, who was 28 years old when he opened the Haight-Ashbury free clinic, touted as the first in the nation. Forty years after The Summer of Love, Smith said in an article in the San Francisco Chronicle that he “took LSD and got involved in the counterculture,” which transformed him from being a laboratory scientist who “viewed human beings as not much different than laboratory rats; something to study and stick drugs in…” In the same article, Smith said there was “no emphasis on public health then,” a statement that might surprise people who remember the free aid stations and the ambulances that raced down city streets. Smith is the star of “Street Medicine,” a chapter in Salon.com’s founder David Talbot’s book “Season of the Witch,” a work that chronicles San Francisco’s horrific history of the late 1960s and beyond. Talbot has some harsh words for the Park aid station. “Hippies who fell into the hands of public health doctors and nurses at Park” fared the worse, he wrote. “The hospital staff seemed to take pleasure in tormenting the young,. disoriented patients, ignoring them or making them suffer through a long registration process.” The author doesn’t list a source for the claim, but it wouldn’t take a leap of faith to imagine that the staff of that time felt a “bad trip” meant an auto wreck. Things would change. In 1985 the city’s chief paramedic resigned. According to at least one newspaper account he stepped down because the paramedic division’s problems included drug and alcohol abuse by its personnel. About that Dirty Harry scene: the hospital is in the movie for only a short while, but it plays a crucial role. The villain is treated for a stab wound in the leg and Dirty Harry Callahan questions the doctor who treated him, coming up with a description of “long blond hair, medium build, about 150 pounds, pale complexion.” The physician also says he thinks the suspect sells programs at Kezar, where the groundskeeper let the bad guy live. After viewing the film recently, I wondered if the information gained was because the suspect had to go through a long registration process. Page launched 20 January 2014.